Since 2000 the exihibition rooms of the Living Bee Museum, Knuellwald, have been established in a half-timbered farmhouse, with beekeeping displays from many areas of Germany, and from almost all the surrounding contries. 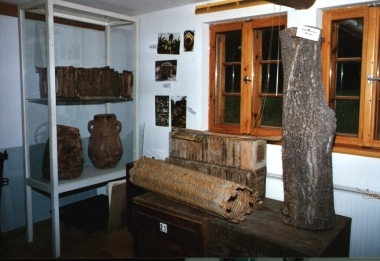 Displays from all over the world demonstrate the relationship man and bee, as for instance, an original Yucatán "tronco", as used by the Mayans for keeping Melipones (stingless) bees. In addition to the bees and the use of the various historical bee hives and beekeeping tools, the closest relatives of bees, the social wasps and their significance for man are explained. 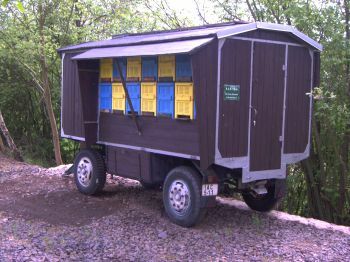 In an open area of 3000 square meters with many insect-attracting flowering plants we can observe a great number of flower-visiting insects, during the growing season.Also there are larger exhibits, such as a typical Central European beehouse, a much used 'bee wanderwagon' of the former GDR, and a heather bee-straw hive stand. 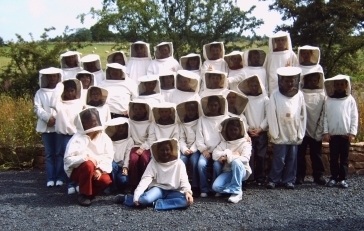 Groups of children can take out honeycombs, extract and taste fresh honey - that way their learning of ecological relations is sweetened. 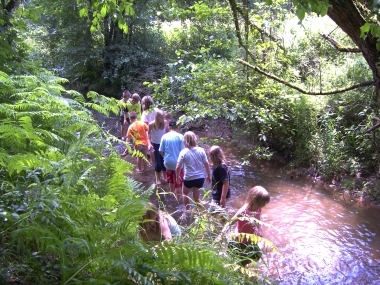 Explanations about flower ecology, the lives of bees and wasps, history of beekeeping and other insect-related themes add our learning opportunities for all ages of people. Also there is a recording programme of the flora, fauna and fungi on the site. Since the opening of the museum more than 2000 species have been recorded. Voucher specimens are in the Museum archive. LEBBIMUK Their results being published in our house paper LEBBIMUK and other natural related publications. Charge per journal: 5 Euro in addition to postage (within Germany postfree; Europa: + 1 Euro, World: + 1 Euro, World (by airmail): + 5 Euro).